The Chinese science writer and sceptic Shi-min Fang is one of the two inaugural winners of the John Maddox Prize. Sponsored by Nature and the Kohn Foundation, and stimulated and organised by the UK-based charity Sense About Science, the prize commemorates a former Editor of Nature, John Maddox. John was distinguished for his championing of robust science. The prize rewards individuals who have promoted sound science and evidence on a matter of public interest, with an emphasis on those who have faced difficulty or opposition in doing so. China’s rush to modernise and the communist government’s celebration of science and technology have firmly embraced scientists and scientific achievements, sometimes uncritically. And into that permissive milieu has walked a plethora of opportunists ready to take advantage of the situation with padded CVs, fraudulent and plagiarized articles, bogus medicines and medical procedures carried out without clinical evidence. In 2000, Shi-min Fang started to expose these escapades in his New Threads website. As an outsider, trained as a biochemist but turned science writer and commentator, he has done much of what the scientific community aims, but often fails, to do — root out the fakers. For example, Fang called into question DNA supplements that were widely advertised as a means to rejuvenate the tired, the pregnant and the old. Eventually, the government issued warnings about the supplements. Fang seemed to especially relish smacking down powerful or popular scientists. He even challenged official support of traditional Chinese medicine. But his targets fought back, in one case with particular hostility. In the summer of 2010, thugs hired by a urologist attacked Fang with a hammer and, according to Fang, tried to kill him. Fang had previously challenged not only the efficacy of a surgical procedure developed by the urologist, but also his CV. Fang imposes transparency on an opaque system. He has opened a forum for criticism and debate in a community that is otherwise devoid of it. 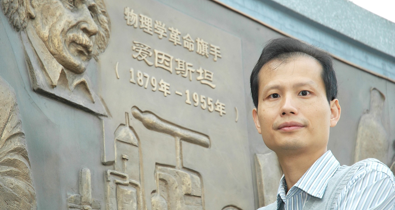 In an interview with New Scientist, Fang Shimin said he was "thrilled and honoured" by the award. He said the reason science fraud was such a problem in China was "the result of interactions between totalitarianism, the lack of freedom of speech, press and academic research, extreme capitalism that tries to commercialise everything including science and education, traditional culture, the lack of scientific spirit, the culture of saving face and so on. It's also because there is not a credible official channel to report, investigate and punish academic misconduct. The cheaters don't have to worry they will someday be caught and punished."